March 4: Presidential Inauguration Day? 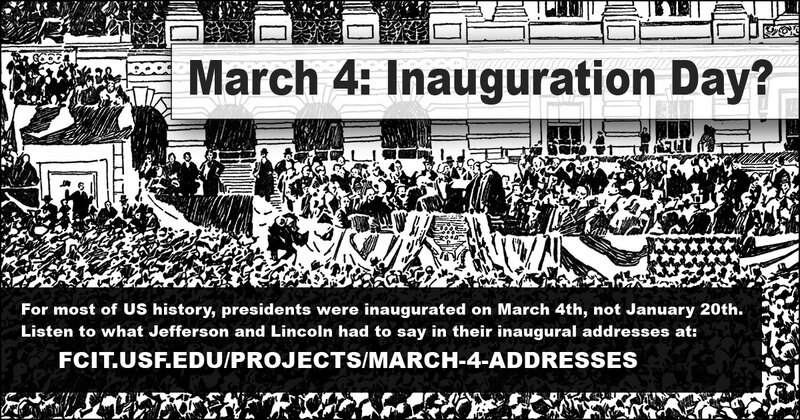 We think of Inauguration Day as January 20th nowadays, but until the ratification of the Twentieth Amendment in 1933, presidential terms began on March 4 (or March 5 if the fourth fell on a Sunday). 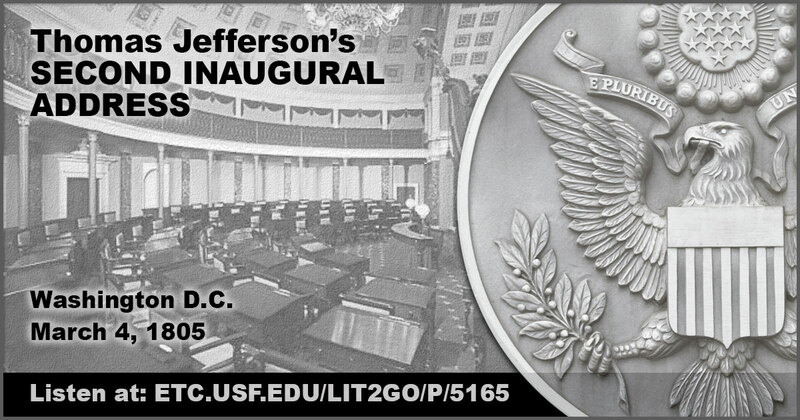 Listen to our audio renditions of the inaugural speeches of Presidents Jefferson and Lincoln. 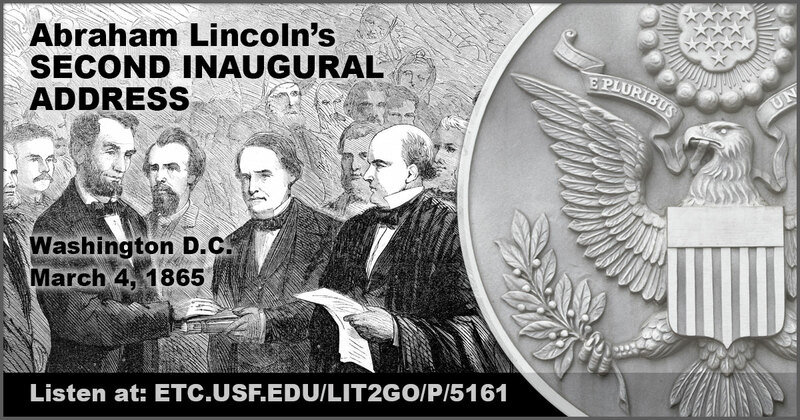 Use this banner on social media to share these inaugural addresses by Thomas Jefferson and Abraham Lincoln. 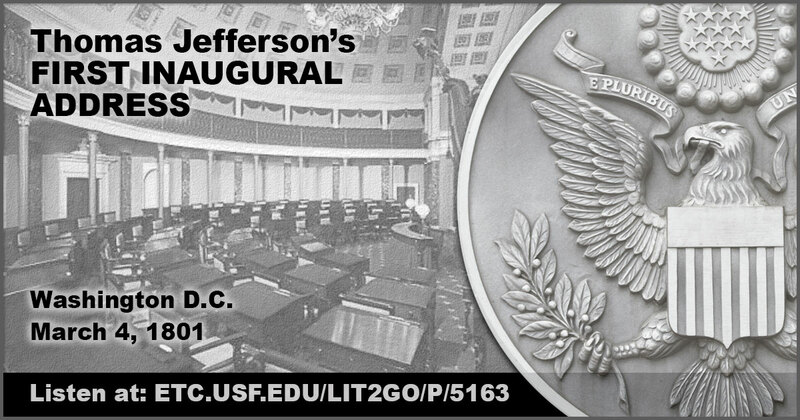 Audio rendition of President Jefferson’s first inaugural address in Washington, D.C., March 4, 1801. Read by Rick Kistner for Lit2Go. Duration: 10 minutes, 37 seconds. Audio rendition of President Jefferson’s second inaugural address in Washington, D.C., March 4, 1805. Read by Rick Kistner for Lit2Go. Duration: 13 minutes, 36 seconds. “With malice toward none, with charity for all….” Lincoln’s second inaugural address was given March 4, 1865 near the end of the Civil War. In this sombre speech, the President pondered God’s will and tried to set the stage for Reconstruction and a lasting peace. Read by Rick Kistner for Lit2Go. Duration: 5 minutes, 52 seconds. 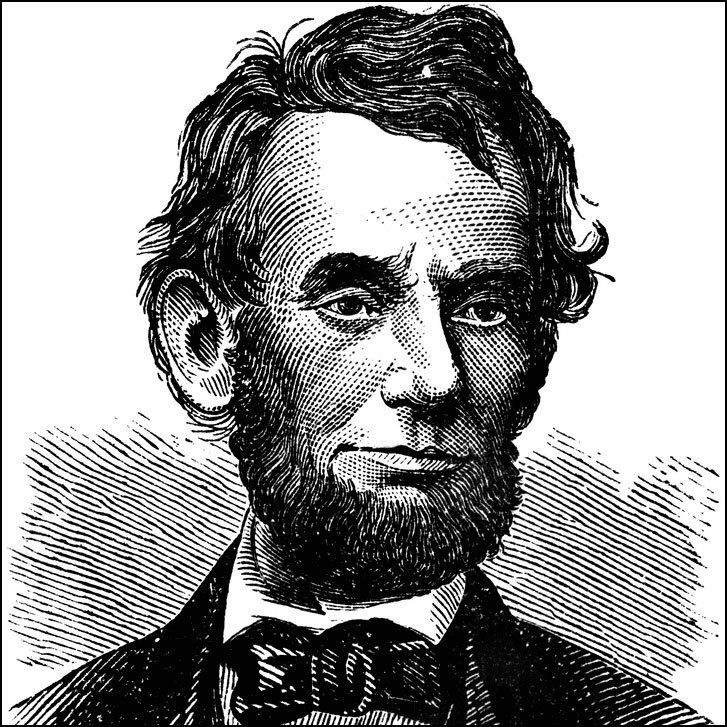 One of several portraits of Abraham Lincoln from the ClipArt ETC website. 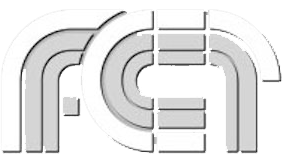 This illustration is one of nearly 400 images of U.S. currency from the ClipArt ETC website. 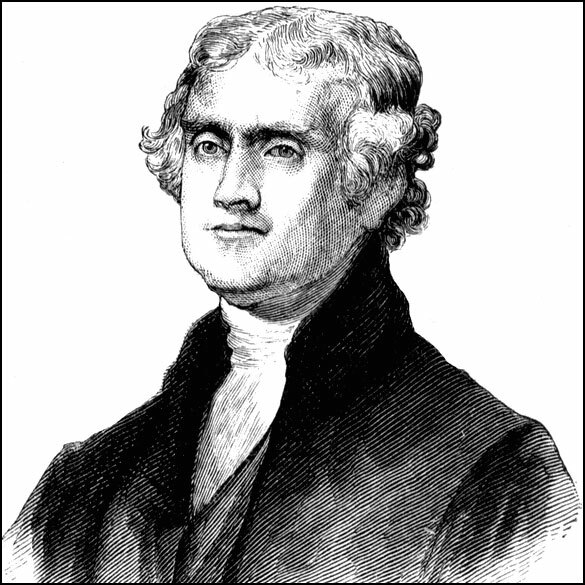 One of many several portraits of Thomas Jefferson from the ClipArt ETC website. 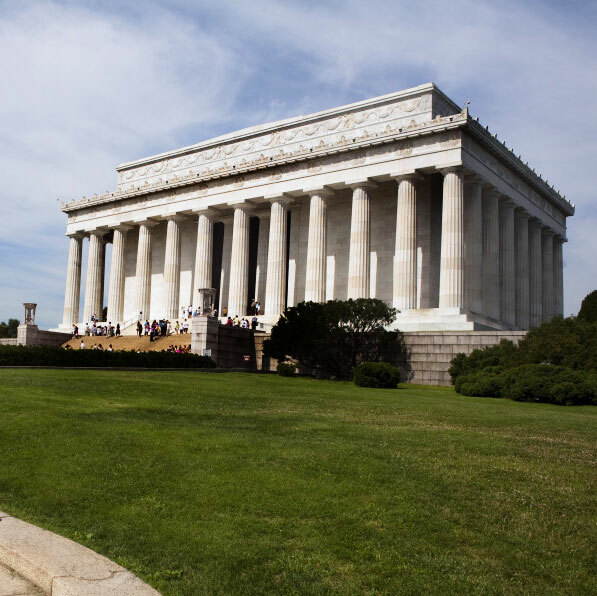 View a gallery of photographs of the Lincoln Memorial in Washington, D.C., from the ClipPix ETC website. 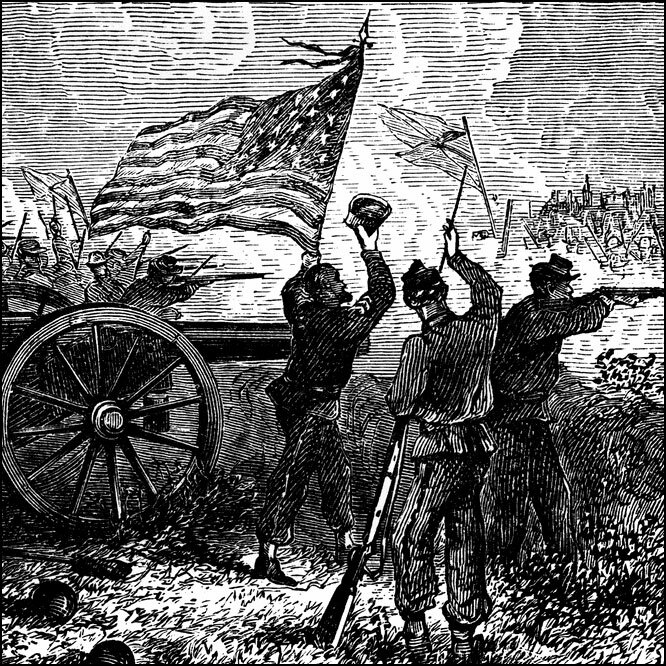 The ClipArt ETC website includes over 900 illustrations of the Civil War that was just ending at the time of Lincoln’s Second Inaugural Address. 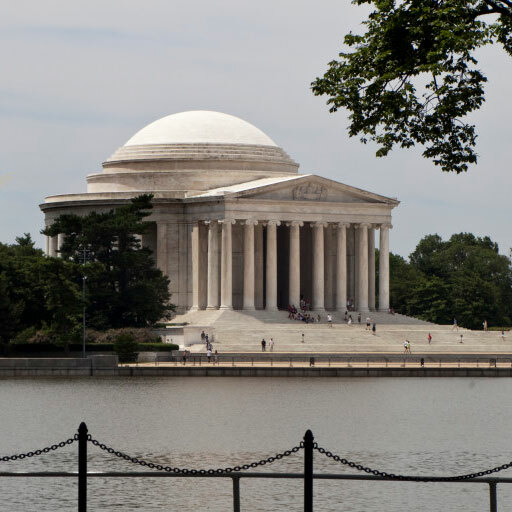 View a gallery of photographs of the Jefferson Memorial in Washington, D.C., from the ClipPix ETC website.